Do you think, after knowing him and hearing him speak, I can mate with such as you? So okay, I don’t agree with this woman politically. There could still be useful stuff in this book. I skim through it. I see there’s a section on Ivanhoe. I love Ivanhoe a ridiculous amount, so I read the section. I don’t really agree with her analysis of the book (it’s one of the many stories that portray a minority woman as beautiful and incredible—and of course, in love with a majority guy—and minority men as distasteful, unmanly, and unattractive, while Himmelfarb describes Isaac as “a worthy father of Rebecca”), but whatever. 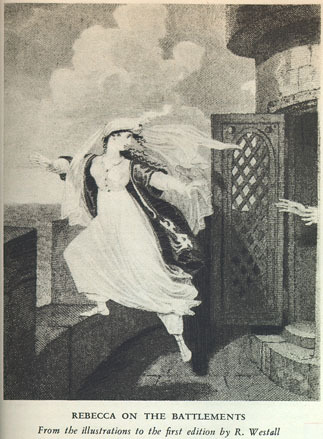 In 1849, Thackeray published a spoof, Rebecca and Rowena, with Rowena a shrew jealous of her husband’s feelings for Rebecca, and Ivanhoe, something of a drunkard, going off to fight for Richard. Eventually, after Rowena’s death, he is free to marry Rebecca. But even that marriage is melancholic. “I think,” the final sentence reads, “these were a solemn pair and died rather early.” “Solemn” or not, Rebecca the Jewess is unquestionably the heroine of the parody. Scott may have thought it inappropriate to have her marry Ivanhoe, but Thackeray did not. Nor did their readers. A Jewess, proud and resolute in her Jewishness, was thought to be a fit spouse for the hero, a Christian and a veteran of the Crusades. “His! whose, in the name of Moses, girl?” cried Isaac. And Himmelfarb chose to simply not mention this. Now, okay, if Himmelfarb wanted to make the argument that Rebecca’s conversion isn’t the point—that the point is that lots and lots of people were willing to ship Rebecca and Ivanhoe together despite Scott’s original portrayal of her—okay. It’s a point that could be made, I guess. But she didn’t make it. And what she did seems to me outright intellectually dishonest. She knew saying that Thackeray required Rebecca to convert would run counter to her argument, so she left it out—and if you read what she wrote, in my opinion, while it doesn’t actually lie, most people reading it would naturally assume that Rebecca does NOT convert. This book is now useless to me as a source because I can’t trust anything it says. Why would you undermine your own scholarly work this way? Have you ever had this experience—reading a nonfiction book and coming across something so wrong it casts doubt on everything else? Author Rose LernerPosted on September 20, 2013 Categories research7 Comments on Do you think, after knowing him and hearing him speak, I can mate with such as you? Look look look, it’s my new cover! Coming from Samhain in March 2014. I’m so happy! 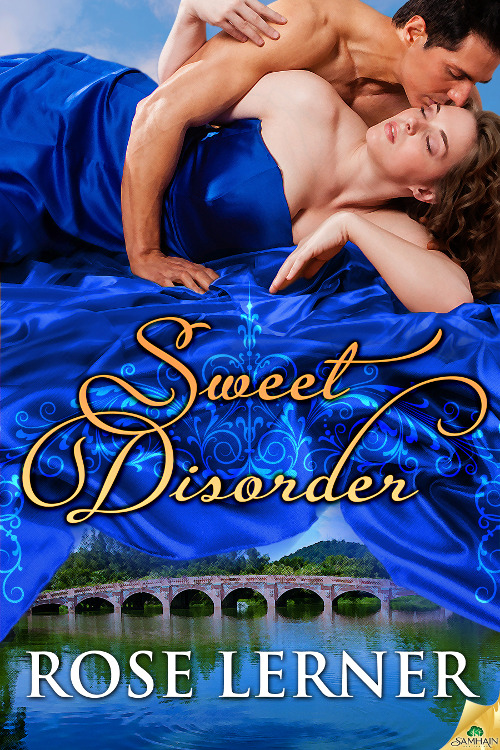 Author Rose LernerPosted on September 16, 2013 Categories announcement, Sweet DisorderLeave a comment on COVER REVEAL: Sweet Disorder!